The new OS is the biggest update to the mobile operating system of Apple so far. It includes some cool and new features. Siri digital assistant has been upgraded significantly. 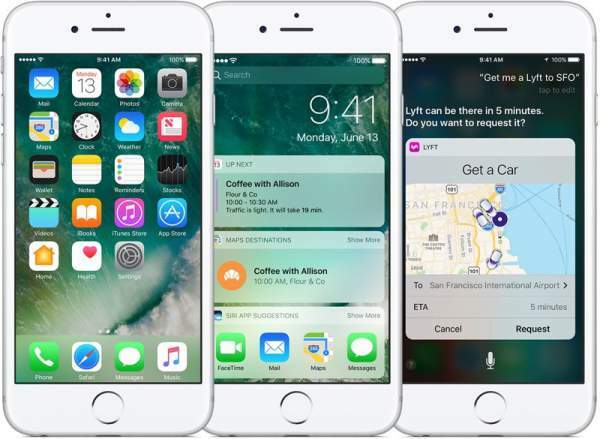 The new updates to Siri will help it in searching image more precisely, handle transcribing voicemails, and writing text messages. Along with Siri, there have been significant changes in the complete OS. Apple has introduced a Universal Clipboard in the last version of iOS. It will allow users to copy text or images from iPhone quickly and immediately paste them on Mac. It will result in quickly transferring the data from phone to Mac. There are changes in the lock screen. The tech firm has expanded its use of widgets in the latest mobile operating system. The users now can make use of 3D touch to interact with notifications and widgets without even having to launch the app entirely or check info. The significant changes can be seen in the built-in apps. You can now remove (technically hide) most of those apps. With iOS10, Apple has refreshed its Photos, Phone, Maps, Music, News, Home, and Messages applications. Messages app has got the major overhaul done. Now, it is available with enlarged emoji, animations, and Apple Music integration. Developers can now integrate their apps into iMessage for the first time in history. With Apple Maps, users can now search for the nearby restaurant suggestions, traffic information, and has an ability to find your parked car. Apple Music has been overhauled from the ground level and is now available with improved UI and built-in lyrics. Moreover, News will also get a big update which will include breaking news, notifications, and subscriptions in it. The HomeKit efforts will now be consolidated with a new Home app which will enable users to control and interact with compatible smart home devices. iOS 10 releases on September 13, 2016. The following devices will be able to upgrade for free of cost. The list of devices is iPhone 5 and newer, iPod touch 6th generation, iPad mini 2 and higher, and iPad 4th gen, and iPad Air and iPad Pro models. Next articleYeh Rishta Kya Kehlata Hai 7th September 2016 full episode updates: Akshara to expose drug racket?